Whitley Strieber began his writing career with a pair of modern-Gothic horror novels, The Wolfen (1981) and The Hunger (1983), for which he earned renown as one of the best of the "new wave" of horror writers. Both of these novels were made into films. In the mid-eighties his novels of nuclear destruction, Warday and Wolf of Shadows, became a New York Times bestseller (co-authored by James Kunetka) and an award winning young-adult novel, respectively. Costa-Gavras was briefly attached to a planned feature film adaptation of Warday. Whitley Strieber is perhaps best known for the third phase of his career, which began with Communion (1989), an autobiographical account of his experiences with strange alien "visitors" who he says came to his cabin in the New York countryside. This Number 1 New York Times Non-Fiction Bestseller (on the list for 15 weeks) was also turned into a film. He appeared on The Tonight Show with Johnny Carson (6 May 1987) to defend his sincerity. After leaving New York, he returned to the vampire saga that began with The Hunger (1983), adding the novels The Last Vampire and Lilith's Dream to the mythology. When Columbia Pictures' option on The Last Vampire expired, the SciFi Channel considered a mini-series based on the last two novels of the trilogy. He has written several other thrillers, and two novels about environmental apocalypse, Nature's End and The Coming Global Superstorm. Superstorm served as an inspiration for Fox's The Day After Tomorrow (2004), and Strieber later penned the novelization of that film. His 2006 novel, The Grays, is a fictional narrative about "an alien presence struggling with humanity for control of the earth" that is, he says, informed by his personal experiences. Sony Pictures secured the film rights, with Ken Nolan writing the treatment. 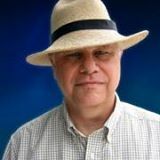 Whitley Strieber's web site is www.unknowncountry.com.